We will have 45 minute instructor led classes most days, work out and have fun! 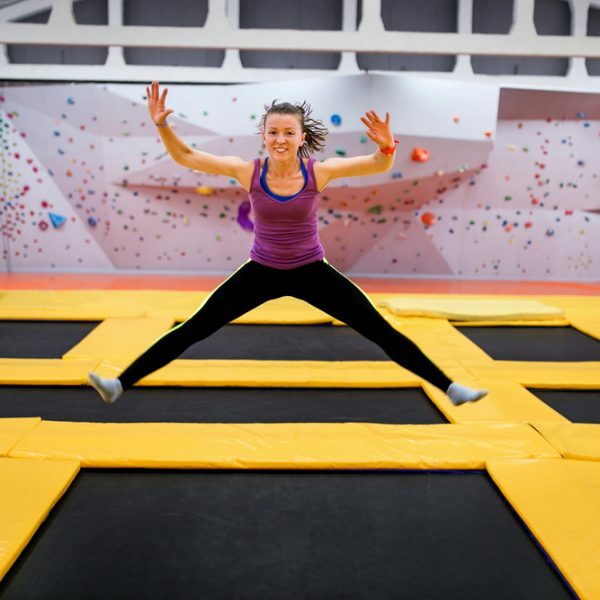 Bouncing on a trampoline is a cardiovascular exercise…meaning it works out that big muscle called your heart; everyone knows thats good for you! You probably won’t notice, but the more you bounce, the more calories you burn. 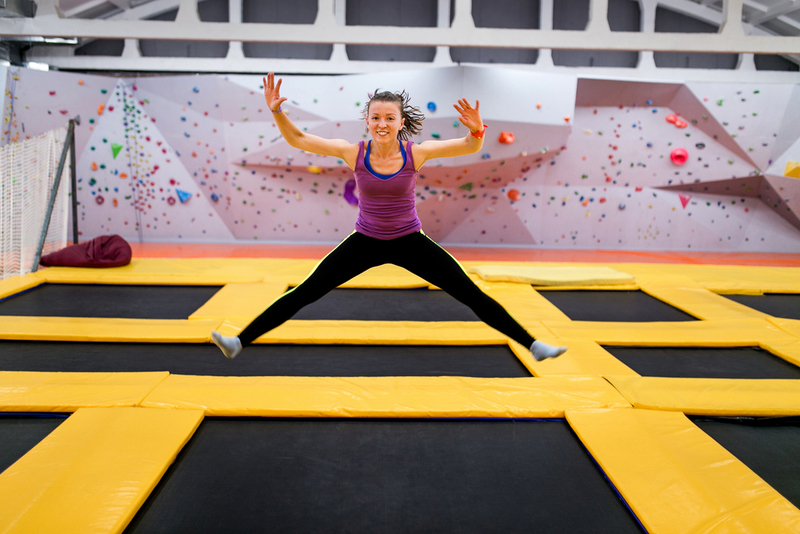 In fact, bouncing on a trampoline could see you burn 1000 calories in a hour. Hungry work! Build up your strength and stamina with repetitive bouncing actions. Boing! Boing! It takes a lot of mental skill to coordinate your jumping and landing. Multi-task your brain and give that a workout too! In times of stress, depression or anxiety, we are encouraged to get active, as endorphins (released during exercise) are a great stress reliever. Feel free, let go and re-energise!